Has a Polar Bear always been on your hitlist? Now is the time to fulfill your dream! Nunavut is the place to go if you want to experience the best polar bear hunt in the world. A non Inuit sport hunter hunted the first legal polar bear with this outfitter in 1981. With over 1,200 polar bears taken over the years, Inuit guides are the best in the business. These guys offer the best polar bear hunt in the world, and still follow their Inuit traditions. These traditions have been handed down to them by their fathers and their fathers before them for centuries. Nunavut, Canada is home to approximately 20,000 polar bears, about ⅔ of the World’s population. In 2005, there were 22,500 polar bears; just ten years later, that number increased to around 26,000; and in 2017 their numbers reached somewhere between 28,500 to over 30,000. For several thousand years, polar bears have been a big part of the cultural and spiritual life of the Inuit people. They were identified as a distinct species in 1774 by Constantine John Phipps. The Inuit refer to them as “nanook“. The Norwegians have referred to them as the “Ice Bear”. Russians call them the “White Bear”. Even though they are considered their own distinct species, there has actually been some evidence of possible hybrids of brown bears and polar bears. The bear family, which is predated by other carnivores, is believed to be about 40 million years old. Fossilized polar bear bones date between 110,000 and 130,000 years old. About 10,000 or 20,000 years ago, the polar bears’ molars started to change dramatically. Adapting to life in the Arctic, they developed large, furry feet and short, heavy, sharp claws to give them better traction to on ice. There is also some DNA evidence suggesting that polar bears and brown bears could have diverged as much as 400,000 years ago. They are a unique and amazing animal. Adult polar bears can weigh over 1,500 pounds and can reach almost 10 feet in length. The largest polar bear ever recorded weighed over 2,200 pounds, and when mounted, stood 11 feet 1 inch tall. The oldest wild polar bear on record died at the age of 32. They can swim under water for up to 3 minutes. Nanook also swim extreme distances, the longest known being 220 miles. Why would you not want to harvest one of these magnificent animals? The Inuits started doing polar bear hunts in the high Arctic in 1981 and they’ve enjoyed a success rate of almost 100%. If you are going to hunt polar bears, do the best polar bear hunt out there. This outfitter has guided hunters like Bob Foulkrod, Tom Miranda, and Jim Shockey. You can do spring or fall hunts. 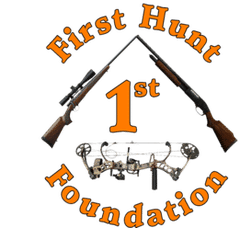 The hunts include 10 days of 1 on 1 guided hunting. Learn more about our polar bear hunts.